Has There Ever Been Anyone Like Stan Lee? Stan Lee (1922-2018) is probably the most famous author that almost nobody actually reads anymore. 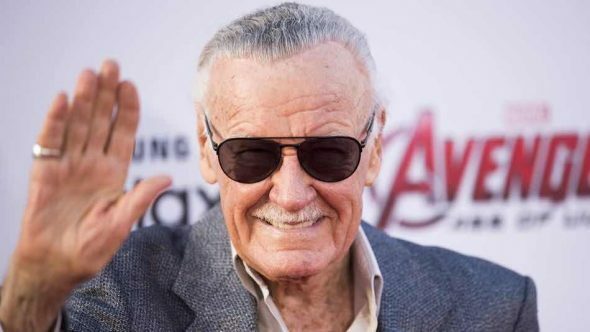 Matthew Belinkie: Stan Lee is, without a doubt, the most famous creator that the world of comic books will probably ever give us. But here’s something interesting about him: almost no one actually reads his work directly anymore. Those 1960 Spider-Man, X-Men, and Iron Man comic books come off as corny as hell to today’s readers. So he has sort of an interesting position in today’s culture: revered for the characters he created, not the words he actually wrote. Can you guys think of anyone in a similar position, where his body of work is hopelessly dated but adaptations of it are timeless? To a much lesser extent, Edgar Rice Burroughs. Tarzan is one of those stories that will always be with us, but the actual dime novel is pretty cheeseball. Maybe Bram Stoker. Dracula has its fans, but I don’t think the novel’s Dracula is anyone’s favorite Dracula. Peter Fenzel: A big one who comes to mind for me is Gary Gygax, the most famous creator of Dungeons and Dragons. 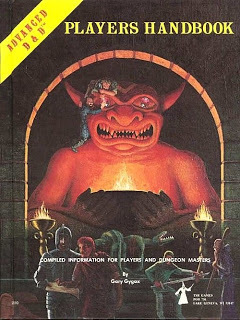 Due to a variety of personal and business conflicts, he was barely part of Dungeons and Dragons after the early 80s, and so many people are familiar with or have played a Dungeons and Dragons game—or a similar tabletop roleplaying game—without playing the Gygax originals. Certainly his Dungeons & Dragons cartoon does not hold up (though the Wayans/Irons movie doesn’t either). It’s odd. With Magic: the Gathering, Richard Garfield, who created it, periodically comes back and does a set. But Gygax moved on (and now he’s passed on). And while I’m sure his other games are good, none of them holds the cultural cache of Dungeons & Dragons. Jordan Stokes: Would you accept Gene Roddenberry? I wonder if this isn’t just generally true: If the characters that you create really stick around, people will end up retelling the story, and eventually your version of the character will be weird and old fashioned. Is Hans Christian Anderson more famous as the author of “The Little Mermaid,” or as the author of the story that inspired Disney’s The Little Mermaid? Which version of that story is the “real” one? Peter Pan—the actual J.M. Barrie version of Peter Pan is great, but it’s stranger than you probably remember. But even if we accept that premise, there’s still something odd and surprising about the case of Stan Lee: People don’t usually live long enough to watch your version of the characters be surpassed and forgotten in real time. Here I would tend to blame the particular pressure-cooker environment of comics publishing. Arthur Conan Doyle was famously unable to walk away form Sherlock Holmes’s adoring public. What if he hadn’t owned the rights: what if the rights had been held by—well, by Marvel. And official Sherlock Holmes stories just kept getting written and published and sold, right down to the present day? What would we think of Doyle’s original stories? And it’s an interesting case because we actually have the counterfactual in the prequel trilogy. 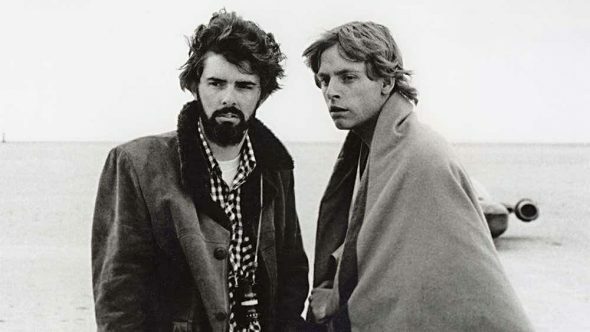 Episodes 1–3 were not great, but it seems like they actually met George Lucas’s goals — he got what he was after. But Disney — as they did with Marvel — has managed to extract what thrilling and engaging about the DNA of Star Wars and make some pretty compelling movies out of it, and also Solo. People still authentically enjoy the original version? Jane Austen springs to mind—and yet I’m not sure that (1) applies, because although there’s a hundred adaptations of her books, we didn’t see the greatest rom-com auteurs of the 80s, 90s, and today making fundamentally new stories that just happen to star Lizzie and Darcy and Elinor Dashwood. James Cameron, maybe? I think the consensus ranking goes T2 > The Terminator > The Sarah Connor Chronicles > doodles of the T–800’s exoskeleton that Mark made in the corner of his Social Studies homework back in high school > Rise of the Machines > irritable bowel syndrome > the rest of the garbage they’ve been foisting on us. But The Terminator came out in 1984; Lee’s big productive decade was the 1960s. So in terms of datedness, we’re talking about Cheers vs. Gilligan’s Island, here. Belinkie: Stokes, I’d say the best counterexample is Tolkien. The Hobbit and The Lord of the Rings are classics that are still widely read today. But it’s also true that the movies (and to a lesser extent the video games) are their own thing. With a huge new Amazon TV series in the works, I think it’s safe to say that Tolkien adaptations and reimaginings will be a thing for a long time to come, but I don’t see them overshadowing the original works. If I wanted to be a smart aleck I could cite Homer. There’s a universe of adaptations based on his work, but the originals have never gone out of fashion. Stokes: … do you not want to be a smart aleck? I wonder, though, because isn’t the current consensus that the Homer of the Iliad is a different guy/team of guys than the Homer of the Odyssey? And although the Iliad was for a long time the more respectable poem, I feel like the only one I knew about growing up was the Odyssey. Fenzel: The counterexample that came to mind for me was Agatha Christie. People still read Murder on the Orient Express. The movie adaptation by Kenneth Branagh was a thing. She has shown up in the new Doctor Who. Despite tons of imitators, there is neither interest in abandoning her work nor making a non-canon Hercule Poirot prequel. Belinkie: But comic books feel like a unique case. Jerry Siegel and Bob Kane are not nearly as famous as Stan Lee, but they were in a similar position of seeing their signature creations, Superman and Batman, catapaulted to a new level of popularity through the adaptations of later generations. I’d say this is partially because the stylistic conventions of the golden and silver ages were so different than we’re used to today. But it’s more because all these comic book heroes really leaped into people’s imaginations on the big screen. They didn’t know it at the time, but these comic book writers were basically doing the rough drafts of blockbuster films, made with technology that hadn’t even been invented yet. Stokes: To me, the lack of a non-canon Hercule Poirot prequel disqualifies Agatha Christie, basically for the same reason that I disqualified Jane Austen. modern taste, that your original story will be forgotten, so that eventually you will be famous only for creating the setting/character. Every adaptation of Murder on the Orient Express reinforces the fame of Christie’s story, because it’s Christie’s story. Every “Hercule Poirot vs El Chapo” fanfic, or whatever, only reinforces the game of Christie’s character. Stokes: Yeah, I think the original Frankenstein already is a niche thing. As evidenced by the fact that “Frankenstein” is a mostly non-verbal green monster with neck bolts who is brought to life by electricity, rather than a doctor who brings a highly articulate unnamed monster to life using chemistry. 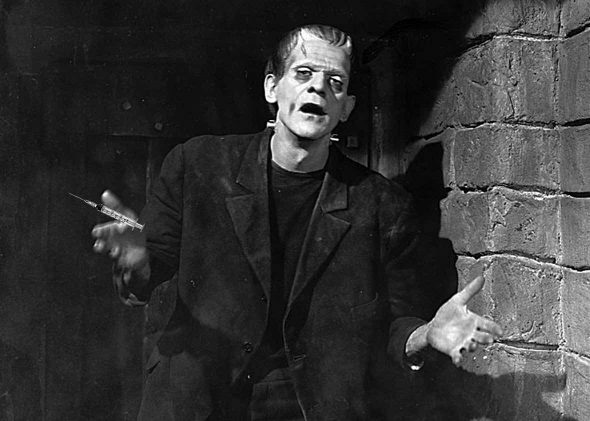 When later properties reference or borrow Frankenstein (as in Mel Brooks, or Van Helsing, or ‘I was a teenaged Frankenstein,’), they borrow the James Whale version. Belinkie: Okay, that’s an excellent point. But I still think people we’ve talked about like Arthur Conan Doyle, Mary Shelly, Jane Austen, and Agatha Christie are far more read and appreciated today than Stan Lee, even though it’s undeniable that Stan Lee’s characters are an order of magnitude more popular. Belinkie: Part of this is that I get the sense that Stan Lee was really writing for a very young audience (like 10?) whereas the film versions of his characters are darkened and deepened a bit. Marvel’s movies don’t feel like children’s entertainment exactly! Stokes: Teenager’s entertainment, perhaps, but yeah. And is the same thing true of the current run of X-Men in the comics? That is interesting though—certainly there are lots of grim and gritty reboots, but it’s hard to think of anything else that’s so successfully made the jump from the children’s section to the mainstream adult section. Fenzel: Twain gritty rebooted himself in The Adventures of Huckleberry Finn. He’s the original Zack Snyder. Wrather: You guys beat me to it. I was going to bring up books for children as a Stokesean counterexample to the Belinkie Stan Lee Conjecture. One selling point of children’s entertainment is that it demonstrates a continuity in time to the adults who actually buy the children’s entertainment. It’s just like what you enjoyed when you were a kid! 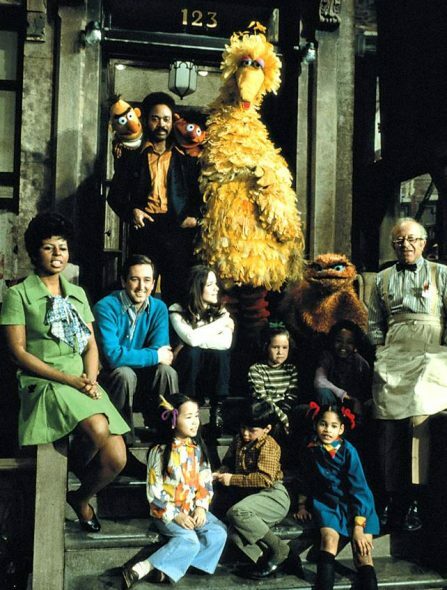 Think about Sesame Street — the idea of the continuity of a neighborhood is built into the show’s DNA. Even the change is conscripted into a narrative of continuity. Jim Henson passes on, but Kermit remains the same. Caroll Spinney retires, but Big Bird remains the same. The humans age and leave the show, new humans come in. There is an organic development built into the concept. What about The Berenstain Bears? they keep making new ones, yeah? Heck, what about The Simpsons, which has gone through five or six Ship Of Theseus transformations at this point. There are more extreme examples: The Hardy Boys series was produced in a literary sweatshop from day one, so it was always already an Baudrillardian simulacrum of itself. For this reason, the contemporary rewrites seem less like a betrayal of the spirit than the continuation of the tradition. My dad used to read me a chapter of a Hardy Boys book before bed—he’d liked them too, as a kid—and one day we decided to be hipsters and read (a reprint of) a first edition. It was straight up racist. 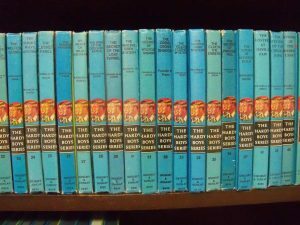 Turns out that what to me were the OG Hardy Boys books, the hardcovers with blue spines, were actually rewrites from 1959 aiming mostly to remove the N-word. I’ll bet there are a lot of interesting examples of character/setting continuity in genre fiction, where there is a tradition of a series of novels featuring the same character — Raymond Chandler’s Philip Marlowe; Lee Child’s Jack Reacher; John D. MacDonald’s Travis McGee. And aren’t the late Tom Clancy and the living James Patterson more brands than primarily authors at this point? Jordan: And there again we dimly see the brutish mitt of capital turning the crank. Robert Ludlum invented a spy named Jason Bourne. Then Robert Ludlum died. But it was lucrative for there to be additional books – and so more books there were. Fenzel: I feel like I’ve read enough derivative pre-capitalist fan fiction to not attribute the phenomenon to capital. Or, at least, to not attribute the existence of the crank to it, and instead identify it as one of many crank-turners. There are such things as artisanal, hand-woven brutish mitts. Like how in the gritty Pythagorean reboot Helen of Troy was from the moon. Fenzel: Ultimately, though, what turns the crank is desire: we make more of a thing because we want more of that thing, even if the original creator is gone. And just like people are carrying Stan Lee’s work forward, he spent most of his career advancing the ideas of others (not just original superhero folks like Siegel and Shuster or Bob Kane, but also contemporaries like Jack Kirby). This has been going on in comics for as long as there’s been comics. I think we feel it more, though, right now. When a creator passes on, there was a choice that is gone. 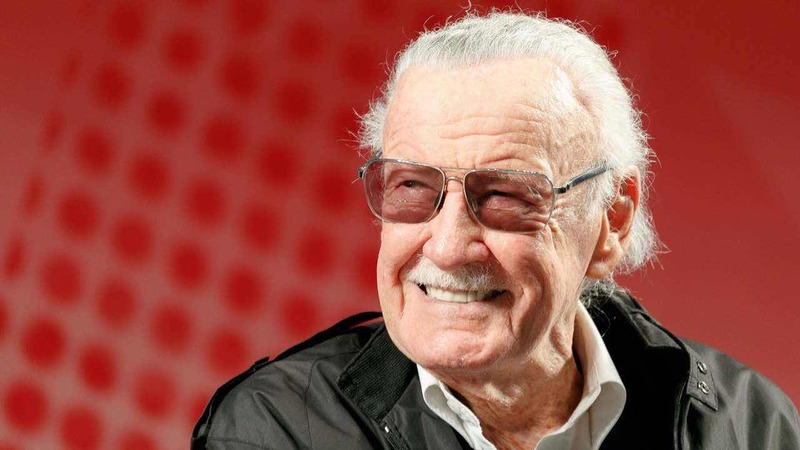 It used to be—in principle, at least—that if we wanted Stan Lee’s version of comics, we could go to him, and if we wanted a different version, we could go to someone else. Looking forward, there’s only one way that it can go. But part of what felt special about Stan Lee is that he seemed so happy to see other people making his characters thrive. He would probably want us not to fixate on current heights, but to use tools, media, and cultural moments beyond even what we have now to take his ideas and our own even further, even higher. One factor I’d place to explain why so few people read Stan Lee’s writing that you guys didn’t touch on is accessibility. Nearly any library in America is going to have a copy of an Agatha Christie or Mary Shelley or Jane Austen books – most people won’t be able to graduate high school without having to read at least one book by one of those authors. But, perhaps because comics are still considered “low brow,” it can be hard to find compilations of classic comics in public spaces, and they can be prohibitively expensive to a casual reader who just saw a movie and want to check out the source material for fun (say, me circa high school). Well it wouldn’t be the first time we’ve been gravely mistaken. But I assume you have some figures to back this up? It’s hard to be sure, since box office figures are always given in dollars, but it looks like American theaters sold something like 20,000,000 tickets to “Spider-Man: Homecoming.” (I just divided the domestic box office by $15. Of course, a fair amount of that comes from people going to see it more than once, but this is the best we’re going to do.) According to Comichron, the current Spider-Man comics only print something like 70,000 to 100,000 copies of each issue. So let’s be generous, and say that 100,000 people read the new Spider-Man, and let’s also assume that everyone who reads the new comic has also gone back and read Lee’s stuff from the 1960s. 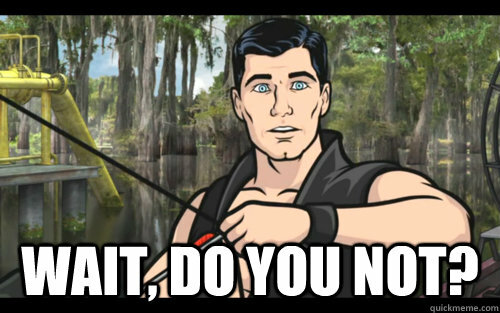 We’re looking at, what, one half of one percent of the audience for the film? Out of every two hundred people who would say “oh yeah, Spider-Man, Peter Parker, sure, what a great character,” only one of them has ever actually read a Stan Lee book? This is really sketchy back-of-the-envelope stuff, though… if you have any better way of estimating the relative size of the audience, please tell us! As someone who is just as interested in the business side of comics as I am all the pretty pictures, let me assure you: this is a basically impossible question to answer. For one thing, the numbers you’re getting don’t include digital sales. Nothing does. And considering that a Marvel.com subscription costs 10 dollars a month and gives you literally millions of comics, nearly the entire history of the company’s back stock (yes, including Stan Lee’s early stuff), buying a physical copy of a comic book makes very little sense to anyone who isn’t a hard-core collector. You also need to take into account that comics used to sell in the millions — not that long ago, really — so getting any numbers on real cultural saturation over generations, and I think we would need to, becomes even more difficult. Lee’s work has also been reprinted many, many, many times and given away for free at events. I assume it’s even been included in Free Comic Book Day before (a nation-wide event where everyone has access to free comics for one day a year). Heck, Amazing Spider-Man 129 (not a Stan Lee book but an early Marvel one nonetheless) was literally given away to anyone who went to see Thomas Jane’s “Punisher” in theaters. Copies of Stan Lee’s work have been included in toy packages, marketing handouts, video games (as bonus content), etc. We’re also considering this right now as if Stan Lee’s work was only ten years of Marvel comics, which is wrong. Stan Lee was an invention of Stanley Lieber. His unique authorial voice was as much a part of his work, both within that company and without it, as his characters were. In what way is Stan Lee’s cameo in the 90s Spider-Man cartoon (opposite his wife playing Madame Webb) not a part of his original work? Is a Pee Wee Herman performance no longer canon if it’s not being written by Paul Rubens? Lee was always a multimedia figure, even back in the early days. He was consistently trying to break into Hollywood and I think it’s worth noting that when Marvel finally really did it was with new stories that only occasionally, and very lightly, adapted the written material. The Iron Man movies are, frankly, as much the continuing adventures of the character as the comic book versions are. And what Lee was doing with his cameo work wasn’t just a cute reminder of his former glories either. It was an active extension of the kind of bullpen editorial work he’d done for years beforehand. He was using that same honed voice to create a sense of continuous brand identity, to connect with viewers in the same way that he had always connected with readers. This, all of this, was also his work. In other words: Stan Lee was always big, right up until the end. It was the four-color picture boxes that got small. It’s worth remembering that Lee was creating characters for a quarter-century before the what the world thinks of as the work Stan Lee did; he was there almost from the beginning. And, as has been pointed out in a few spots, he was really the remaining creator of superhero content who didn’t grow up as a fan. And maybe more importantly, unlike his early contemporaries, he never seemed to treat his work like a joke (like Siegel would) and, unlike his later contemporaries, never seemed to think his work was some higher calling (Grant Morrison seems particularly prone to this). Maybe that’s why his movie cameos made a weird kind of sense: For all his faults and for all his (admittedly often tongue-in-cheek) glory-hounding, it always seemed like he was just doing his job. Even my first exposure to him as the narrator to “Spider-Man and His Amazing Friends,” he was just part of the structure. I want to second this love for the novel version of Dracula. I think the book holds up well for being over 100 years old and a lot people who enjoy the modern adaptation go back to the original. As a DC fanboy raised in the 1970s when Marvel was at one of its heights with X-Men and other cutting edge staples, I was well out of the mainstream. I was a Flash/Justice League/Batman reader. I liked the simpler standalone stories with fewer barriers to entry. Every time I read a Marvel title (and Fantastic Four was perhaps my favorite) I was put-off by the endless footnote cross-references to previous issues or other titles. The lore and backstory was just overwhelming. Plus Marvel was re-issuing their works from the 60s at a regular pace so even the continuity got muddled in my head. But the biggest turn-off was a feature that has been most eulogized, and that was Stan Lee’s Soap Box. I found his monthly columns hokey with their endless hyperbole. They just smacked of hucksterism. I DIDN’T know all the writers and artists so all the nicknames and callouts went right over my head. Only as an adult have I bothered to catch up on the lore and the history of the Marvel Comic Universe which went unappreciated as a kid. Stan Lee, like so many, was a complicated figure. Ask any Kirby or Ditko stan. But I will acknowledge his influence even if I was oblivious to it at the time.